When you begin to think of each empty wall in your home as a canvas upon which to express your personal style, suddenly every room opens itself up to a world of possibilities. No matter your tastes or design sensibilities, there is a myriad of wall décor ideas to help you bring your home to life with color, texture, patterns, and innovative objects. Unless you're a pure minimalist, you'll likely want to add a few decorations to your walls. 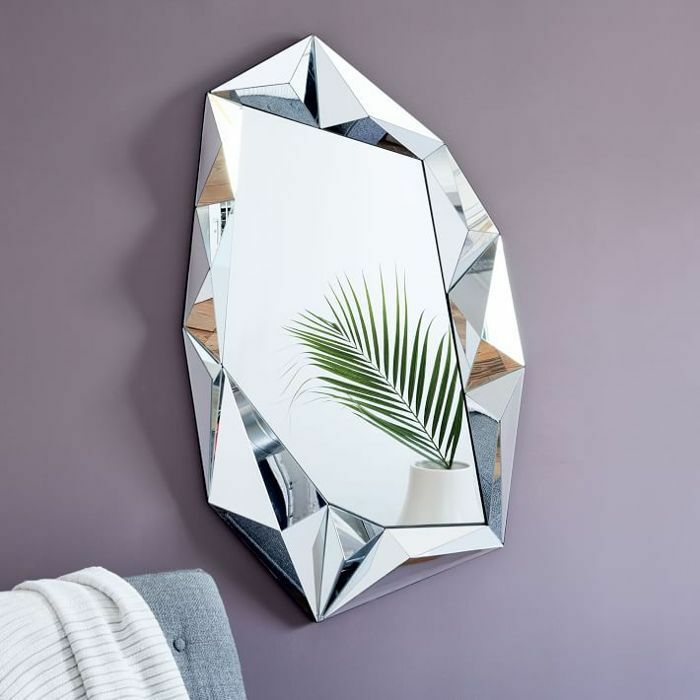 This could be anything from creating an eclectic gallery wall featuring unique pieces of art to carefully hanging one large mirror or scattering of smaller ones to create the illusion of depth and space. If you're staring at a large blank wall and aren't sure where to start, fret not. The first step is recognizing the existing style of the room you want to decorate. Is it colorful and maximalist or neutral with minimal designs? Take this into consideration when making your next design move. Then, take some time to think about the mood you want to evoke in the space, as well as the types of wall décor that you'd be happy to look at, day in and day out. Ahead, we've compiled five distinct wall décor ideas to get your creative juices flowing (and what to shop to get the look on the spot). It's time to fill those blank walls and make your house feel like home. Hanging one, singular piece of art is a surefire way to make a statement (and a lasting impression on guests). Pick a large-scale work that speaks to you and flows with your existing décor. For example, a minimal abstract painting with simplistic white, black, and gray designs complements this gray dining room by matching the feel of the room. 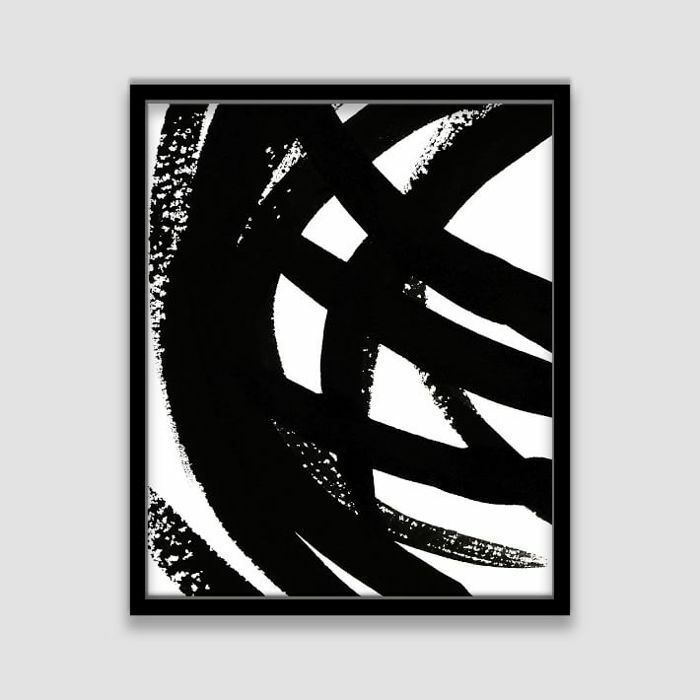 This black and white canvas print would work in a minimal or eclectic space. The colors and design are simple upon first glance, but the thick brushstrokes certainly make a statement. For something that will truly command a room, opt for a patterned mural. 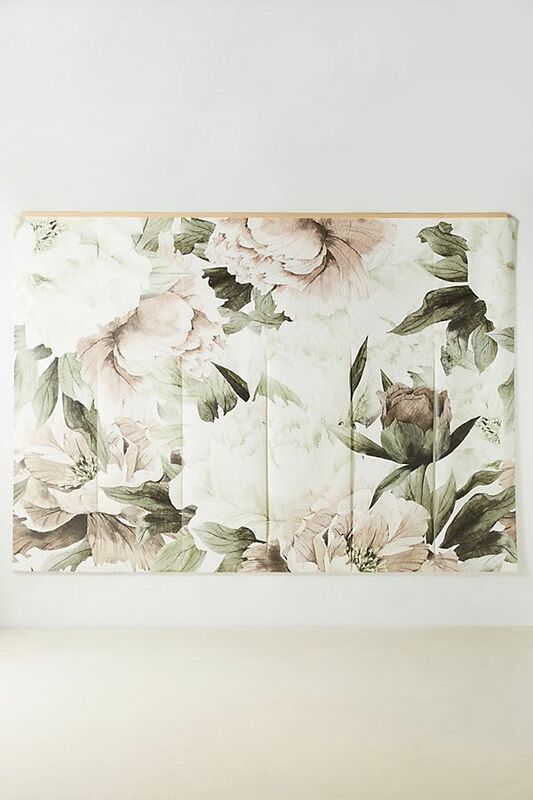 Although this piece is large in scale, the soft floral patterns in muted tones won't overpower a space. 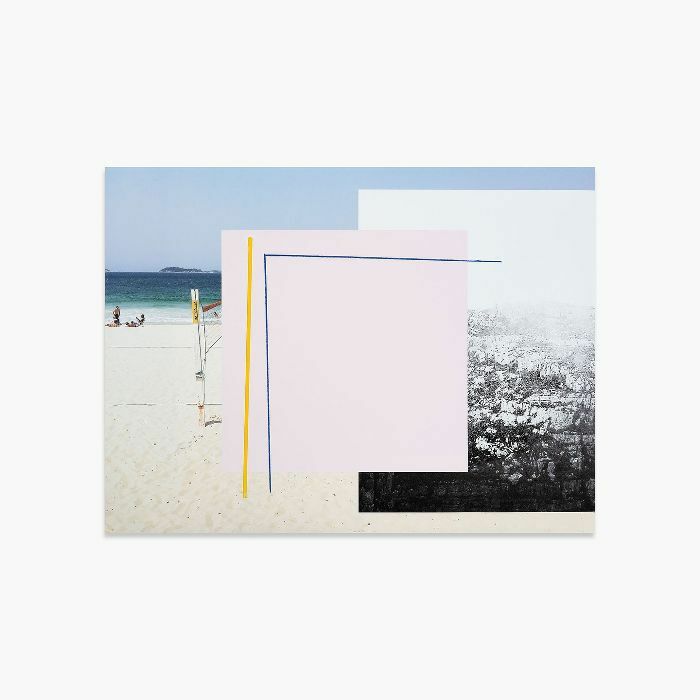 If your style is more modern, consider an assemblage style piece like this work by Alice Quaresma. It combines multiple mediums for a collage appearance that would look striking paired with contemporary furnishings. For an alternative to paintings, you might consider hanging one or more mirrors to create an interesting look that can completely change the appearance of a room. A single, large mirror can do wonders when it comes to making a small space feel larger, while multiple, smaller pieces arranged together can create an eye-catching effect. 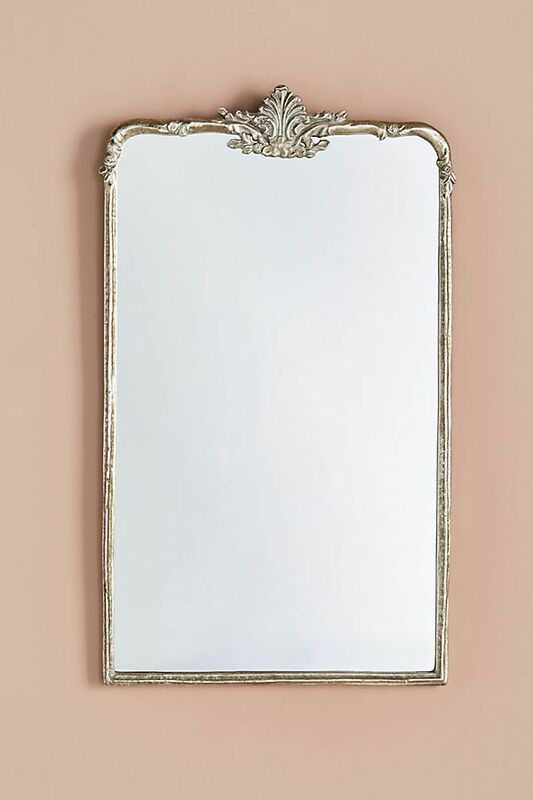 A delicate, gilded mirror like this one is just begging to be propped up on top of the mantle of a beautiful fireplace. Gently lean in against the wall for an effortless look. If your tastes are far from traditional, turn your attention to this multi-faceted mirror in an irregular shape. Place it on the wall in a spot that allows for natural light to bounce off its many angles for a piece of wall décor that will truly never look the same whenever you catch a glimpse of it. 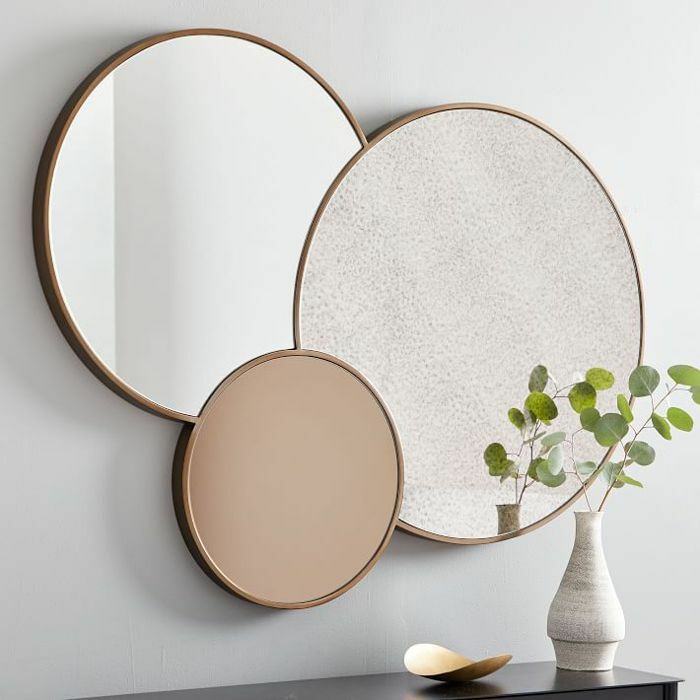 This trio mirror offers the look of multiple pieces without the effort of finding the right place to hang individual objects. The variety of tinted layers allows this mirror to actually double as a modern work of art. 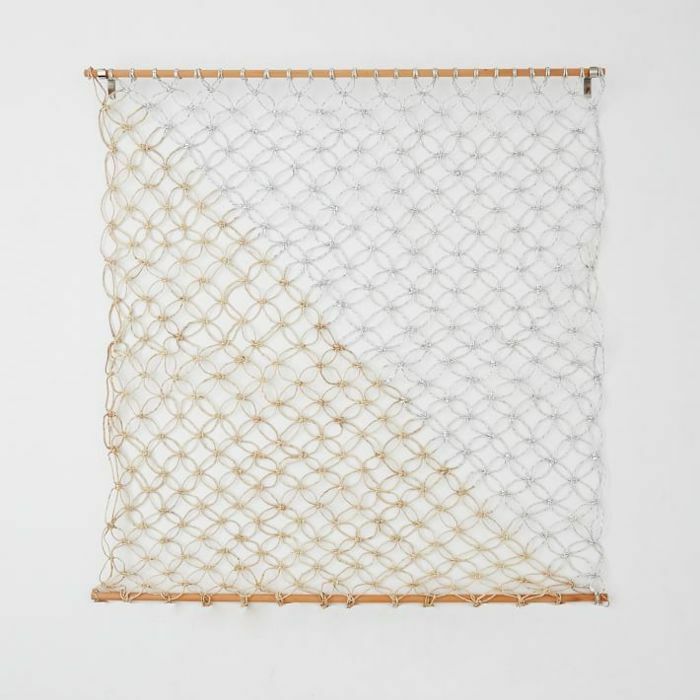 Allow the eclectic curator in you to get creative by hanging a unique piece of wall décor. From mobiles and hanging planters to contemporary objects and woven baskets, there are so many items that can be hung on the wall as décor—even if that might not be their intended purpose. Bring some greenery into your home by hanging a string planter on the ceiling in the corner of a room. 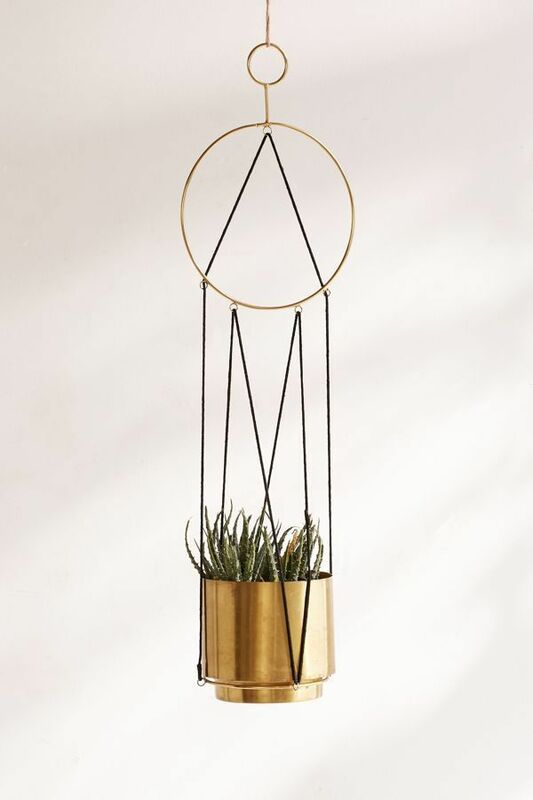 This one from Urban Outfitters is equal parts boho and sleek thanks to its brass detailed design. For something a bit more unusual, opt for a contemporary metallic piece of wall décor. 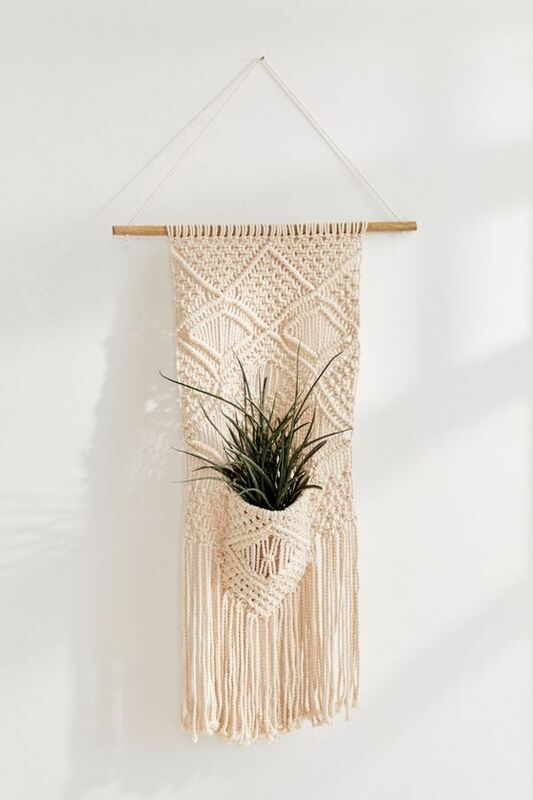 This macrame wall hanging could work in a chic and sophisticated interior and would be sure to garner questions from guests. For a softer look, this macrame planter gives the warm appearance of a handmade piece. The fringe and woven material would fit into any bohemian space, but it could also work in contrast to more traditional design styles. If one piece of statement art just doesn't do it for you, why not give the perennially popular gallery wall a try? It's a great way to display a unique collection of artwork and it's an excuse to evolve your artistic finds. Pro-tip: use a large sheet of butcher paper to organize your pieces just right. Trace where you want the frames to go and then tape the paper on the wall to help you place nails in the correct spots. 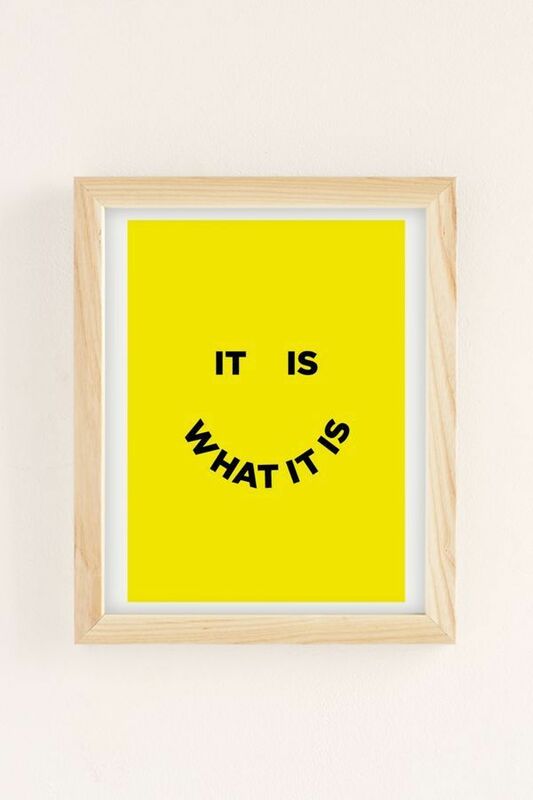 This playful print uses a cliché saying to create an iconic black and yellow smiley face. Just looking at it will cause your lips to curl upward. This print features the female form from the back depicted only with a few sparse, delicate lines. 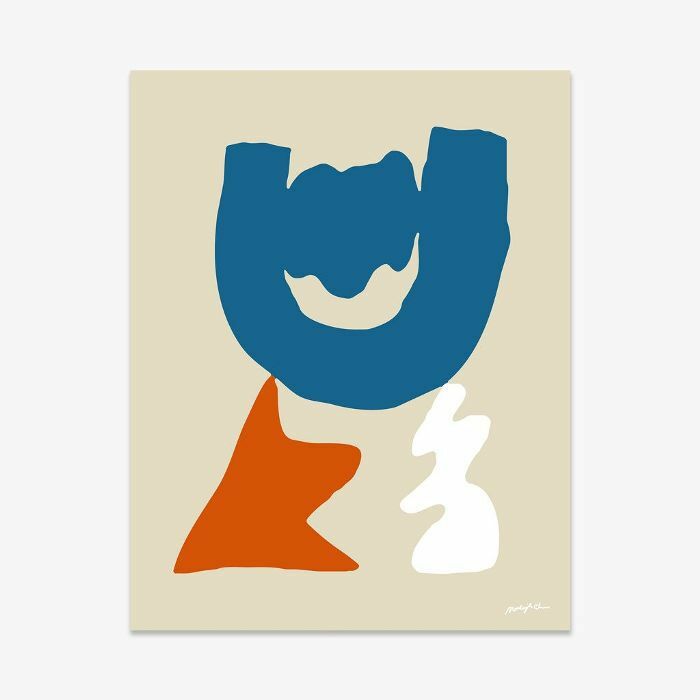 Use something like this to contrast more abstract paintings or contemporary prints. This colorful, abstract work from Marleigh Culver is minimal, yet bursting with saturated hues and irregular shapes. It's attention-grabbing in a subtle way. Finally, to really decorate an entire wall, there's a variety of easy-to-use wallpaper options. You can easily find peel and stick wallpapers, perfect for rental spaces that you'll be able to remove before your lease is up. It's a relatively simple upgrade that will go a long way in transforming a space. 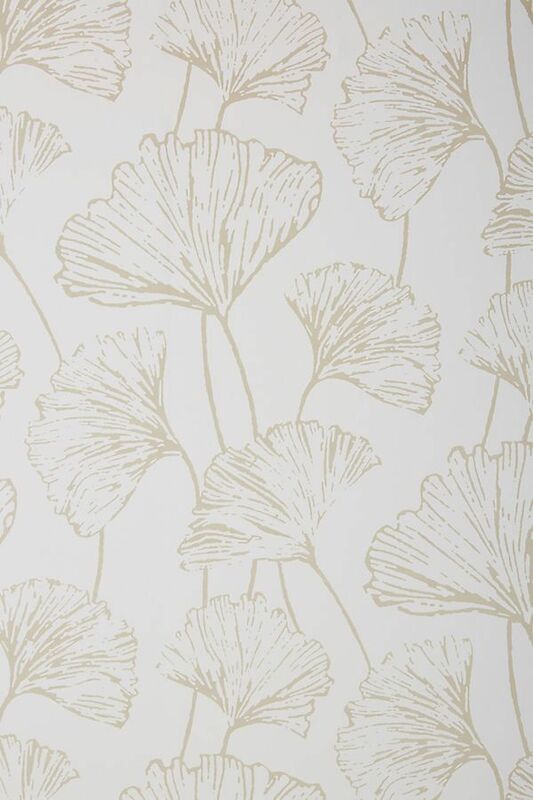 This light and airy wallpaper gives just a touch of glamour to a room. You'll have to be up close to really see all the details of the design. 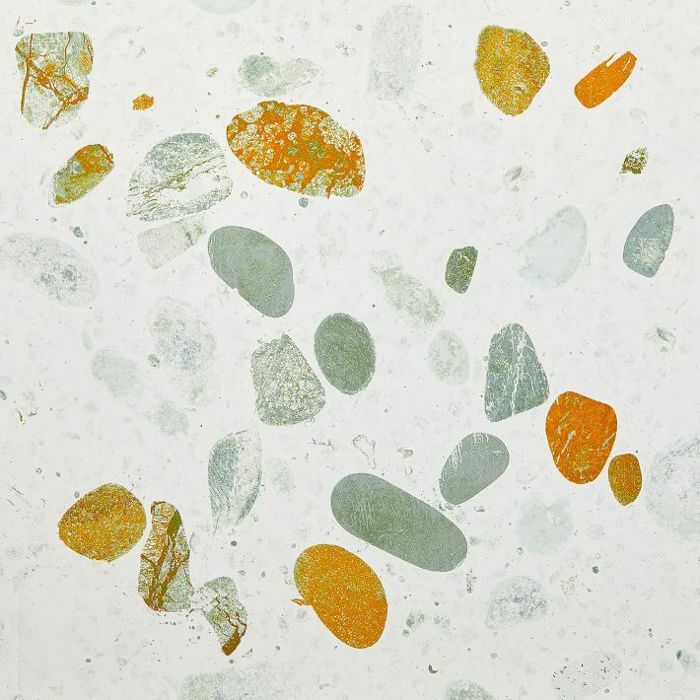 If you haven't already gotten in on the terrazzo trend, this statement-making wallpaper in the retro-inspired pattern is a bold way to bring the look into your home. If you're a fan of big, bold prints, opt for a wallpaper that doubles as a large-scale work of art. 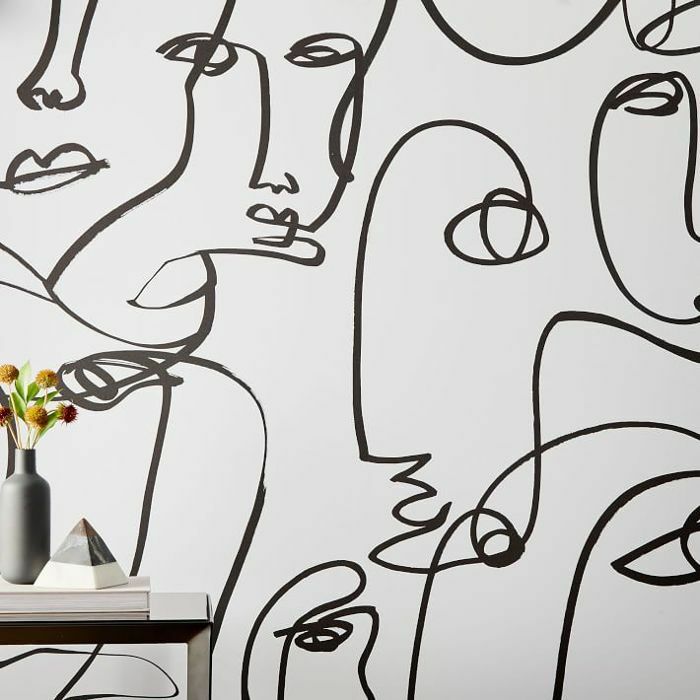 This black and white wall décor looks like something out of a Picasso painting in a minimal color scheme. Up Next: 10 things the French always do when decorating.